Play up nautical themed decor when you add small details like this heavy weight door stop. Wrapped in jute with a loop for hanging. 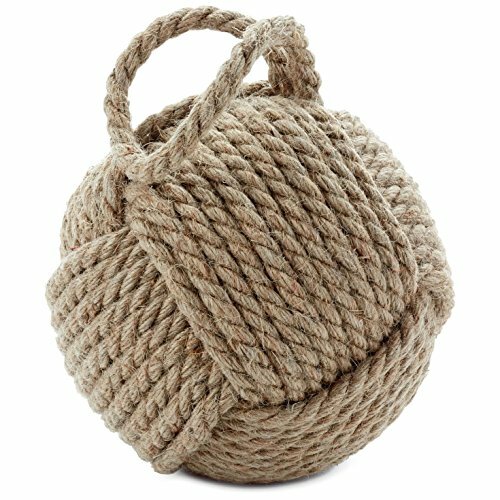 Inspired by sailing accessories, knotted jute rope and a loop for hanging turn this door stop into a clever addition to your beach house or living space. Perfect for playing up nautical-themed decor. Heavy weight covered with jute rope.